Certain makeup products are usually devoid of excitement and eyeliners more often than not fit into that category. How different or unique can you make something that slicks across your eyelid, which is usually black in colour and liquid like in texture? 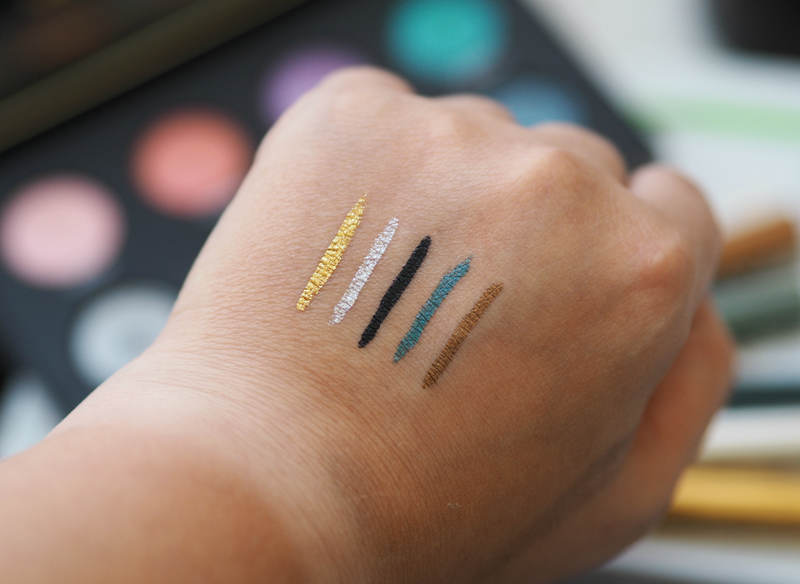 With Urban Decay’s new Razor Sharp Long-Wear Eyeliners they’ve managed to get me excited about coloured eyeliner again for the first time in a long time, proving you’re never too old for a touch of shimmer or sparkle. Gold and silver liners are usually kept hidden away until the impending festive season, but the texture and subtlety of these make it absolutely feasible to wear them every day of the year. The super fine and precise applicator brush helps to keep the colour close to the lash line, meaning you don’t have to overload your lid if you don’t want to; every one of the colours I’ve tried is highly pigmented and dries quickly to leave no mess, just a great little hint of colour that updates your look. 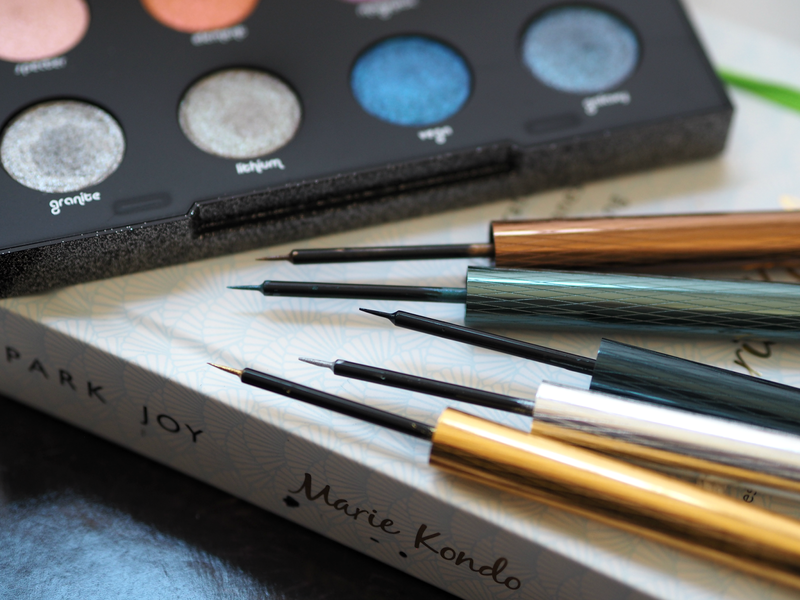 I’ve been testing these over my usual black liner for a subtle line of colour that catches the light, and the result is fab; however, they also look amazing over a smokey eye or even as a pop of colour when the rest of your look is toned back. The runny-ness of the liner does take some getting used to as it’s easy to pick up far too much (the secret is to wipe all of the excess off before application, re-dipping every time you want to layer more colour) but the mature and elegant finish is worth putting the effort in. Importantly the liners don’t feel heavy or crunchy on the lid (you can’t feel they’re there at all) and they remove really easily with your usual makeup remover, despite them being water resistant and claiming to last up to 24-hours. Although they’re £16.00 each, if you want one product to change up your look this Autumn then this could be it – why settle for yet another berry lip when you could inject a touch of bronze, khaki or blue into your eye makeup? Also worth a special mention is the new Moondust eyeshadow palette which includes some of the most fabulous and OTT shades I’ve discovered in some time. They may not be for the fainthearted among you, but if you’re looking to create something incredibly striking as we step into the next season then this could definitely be your secret weapon. Use the eyeshadows wet with an angled brow brush to replace your usual liner, or buff into lids up to the crease for a retro look that’s also perfectly on-trend for Autumn. 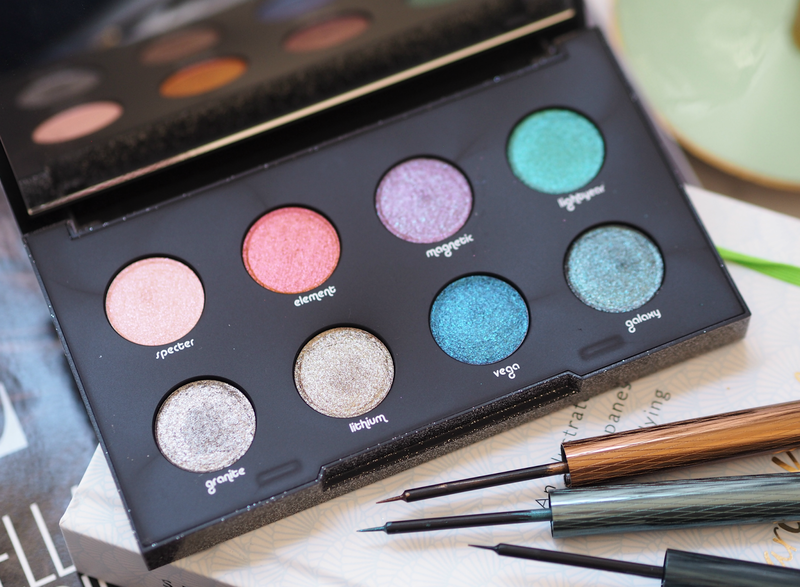 If you’re feeling brave, go the whole hog and buff the colours all around the eye for a glittery take on a smokey look that will ensure all eyes are on you! Personally I may be stashing these away until the days get shorter and I’m practically about to put up my Christmas tree, but my oh my it’s going to be worth the wait! 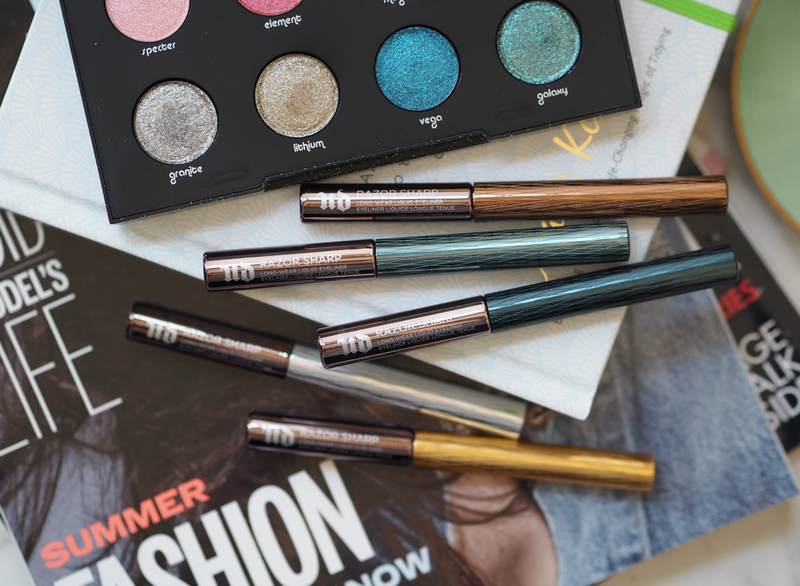 What do you think of these new statement launches from Urban Decay? The Urban Decay Razor Sharp Long-Wear Eyeliners are available in 20 shades, priced £16.00 each. The Moondust palette is priced £35.00.